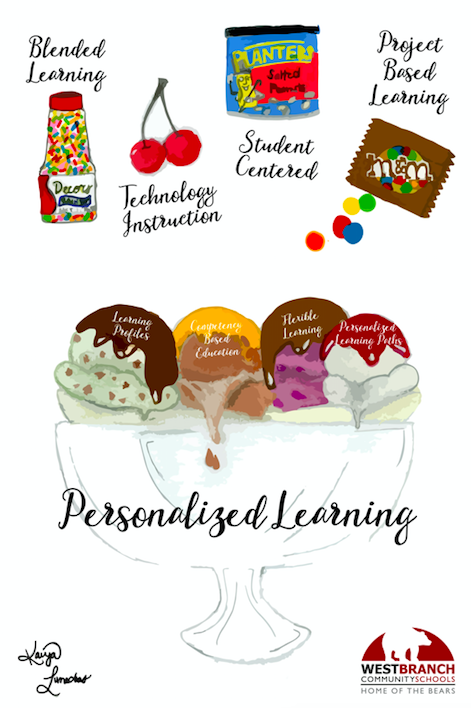 As part of the West Branch Community Schools’ strategic plan, the district has committed to implementation of personalized learning. We support this work through professional development opportunities for our faculty and providing individualized and small group support from our instructional coaches and district Lead Learning Committee. Learner Profiles: Each student has an up-to-date record of his/her individual strengths, needs, motivations, and goals. Competency Based Education: Each student’s progress toward clearly-defined goals is continually assessed. A student advances and earns credit as soon as he/she demonstrates mastery. allocation—respond and adapt to support students in achieving their goals. Blended Learning: Provides opportunities for students to work at his/her own pace, place, and path using digital devices to break away from whole group instruction and provide teachers with data to drive the small group and individual instruction in mini lessons, independent work, digital content, and future ready skills. Technology Integration: The use of technology resources — computers, mobile devices like smartphones and tablets, digital cameras, social media platforms and networks, software applications, the Internet, etc. — in daily classroom practices, and in the management of a school. Project Based Learning: A teaching method in which students gain knowledge and skills by working for an extended period of time to investigate and respond to an authentic, engaging and complex question, problem, or challenge. Student Centered Classrooms: A wide variety of educational programs,learning experiences, instructional approaches, and academic-support strategies that are intended to address the distinct learning needs, interests, aspirations, or cultural backgrounds of individual students and groups of students. 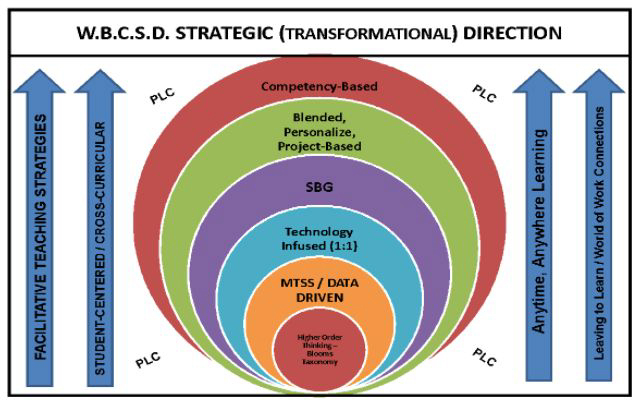 To accomplish this goal, schools, teachers, guidance counselors, and other educational specialists may employ a wide variety of educational methods, from modifying assignments and instructional strategies in the classroom to entirely redesigning the ways in which students are grouped and taught in a school.